Well folks Jim “Mr. Melody” Peterik returns once again, this time his old band the Ides of March. Since leaving Survivor Jim has been touring with the Ides in between his work with Pride of Lions, World Stage and solo work, but this is the first album of new material in quit some time. Jim is the main creative for behind the album as usual and as usual the songs are first class. There are a couple songs that were re-recorded from his other work such as “Secrets of a Woman” and “Live Life” from his 2006 solo album Above the Storm and the beautiful ballad “Come Dancing” from the recently released Lisa Mclowery album Time Signatures which he wrote and produced. The songs were re-recorded with the Ides of March signature Jazz rock fusion sound and are still great. (Although I will admit to liking Lisa’s version of “Come Dancing a little more). Along with those we have seven new Peterik penned masterpieces including the title track “Still 19” which is a recapping of the career of the Ides of March set to a great melody and with a great and soulful sax outro. 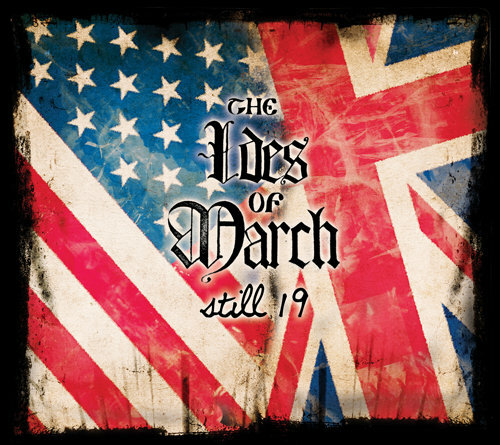 Like all of the other projects involving Jim Peterik Ides of March’s “Still 19” is a wonderful album filled with great songs and melodies. Welcome back guys! !